Five Pensacola State College students were selected to the Florida College System 2017 All-Florida Academic Team. 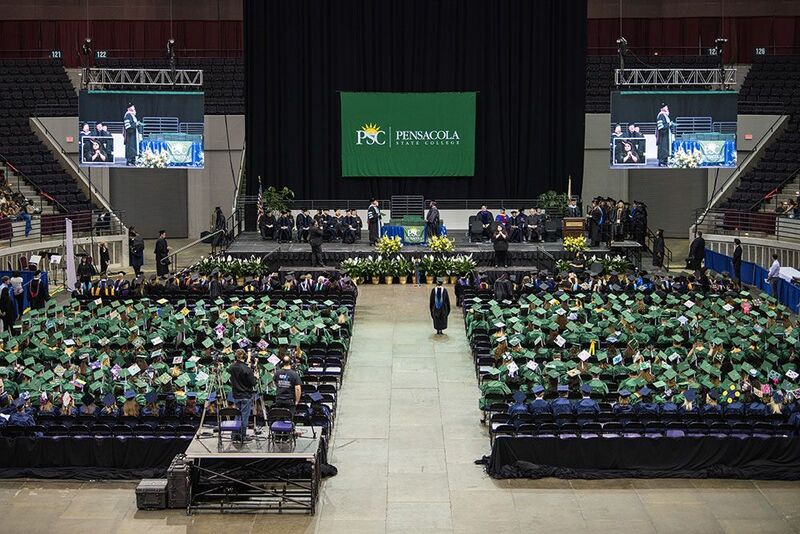 Shaina Busby, Katherine Casperson, Kristina Jacques, James Rutger and Teri Vandenberg were among 127 FCS students honored for academic achievement, leadership and service to the community. An awards ceremony was held April 7 in Tallahassee. Mike Purcell, director of sales for The Florida Lottery, was the guest speaker. The keynote address was delivered by Rachel Diaz, a Miami-Dade College student and team member. Jessica Petersen, Pensacola State’s Phi Theta Kappa advisor, said the five college representatives were outstanding students. Busby, an education major, graduated on May 7. She plans to attend the University of West Florida and earn a bachelor’s degree in special education. Casperson is enrolled in the ADN Nursing Program and plans to graduate in August 2018. Jacques, a nursing major, graduated in December 2016 and is pursuing her BSN at the University of South Alabama in Mobile. Rutger, a pre-med major, plans to pursue a bachelor’s degree in biochemistry. He plans to graduate in December with his associate degree. Vandenberg earned her associate degree in December 2016 and is pursuing a bachelor’s degree in natural resources at the University of Florida. 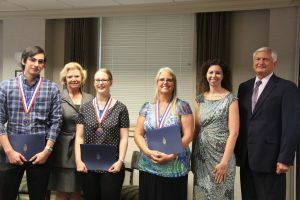 Students were nominated by their respective colleges to the All-USA Academic Team competition sponsored by USA Today and the Phi Theta Kappa International Honor Society.